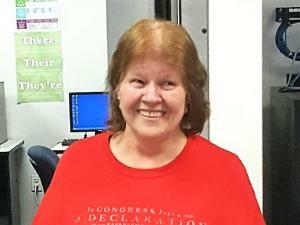 TRA-Quincy ABE Student Judy Barry Shares Her Education Journey | Training Resources of America, Inc. I grew up in Dorchester, Massachusetts in a very dysfunctional family. There was a lot of physical and mental abuse. My family life had a very negative effect on my early years of my education. Another factor that hindered my schooling was my ADHD. The schools that I attended never helped me address these problems. I was never given the opportunity to be the student I knew I could be in those early years. Because of these issues, I decided to stop going to school. As the years passed, I made several attempts to get into a GED program. I studied and worked in a GED program day and night. I felt I was ready and took the test. I just missed the required score by 16 points, but I felt like all my work was for nothing. After several years, I tried to get started again on a GED program. Again, it was not working for me. I just had to find a program that would fit my needs. At the Thomas Crane Public Library in Quincy, I saw a poster for tutors for GED studies. I decided to look into this program. Mary, the director of the GED program at the library, set up tutoring sessions. She also recommended that I start Adult Basic Education classes at Training Resources of America (TRA) in Quincy. At TRA, the classes focused on Math, Reading, and Writing in preparation for the High School Equivalency Test (HiSET). In 2016, I was enrolled in the ABE Level I class. Because I wanted to be successful, I attended almost all of the classes. The following year I moved up to the ABE Level II class which continued the focus on Reading, Writing, and Math, my best subject. Each year, I feel like I am making progress in all areas of study. My goal this year is to move up to the ABE Level III class where I will prepare for the HiSET exams. It is my goal to receive a high school diploma. I will be the second person in my family to attain this honor. When this happens, it will be one of the proudest and happiest days of my life. Keep up the good work, Judy! We are all rooting for you here at TRA!